Why don't you know how much privatized Medicaid costs? 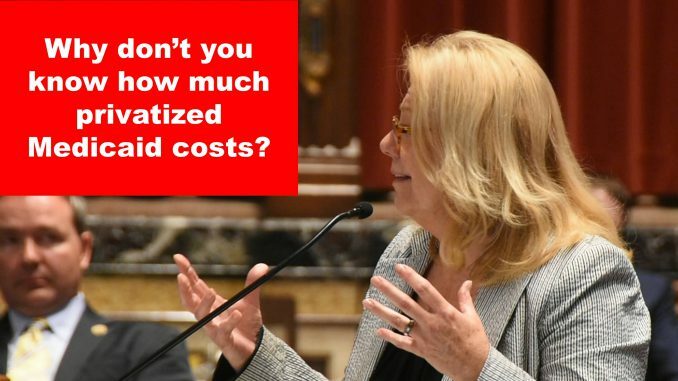 DES MOINES – Senator Pam Jochum of Dubuque has accepted Governor Reynolds’ offer to provide the numbers behind alleged Medicaid savings of hundreds of millions dollars. The Republican budget approved during the 2018 session did not include a firm estimate of the cost of Iowa Medicaid for the coming year.